Please note: the original recording is being prepared for re-release. James trained at The Guildhall School of Music and Drama and has a long-running and successful acting career. He worked with many of the UK’s foremost directors and writers, including Richard Eyre, Jude Kelly, Trevor Griffiths, Alan Dosser, David Hare and William Gaskill. His television career includes appearances in ‘The Rise and Fall of Reginald Perrin’, ‘Lovejoy’, ‘Heartbeat’, ‘The Insiders’, and ‘The Bill’. He was a regular voice in Radio Drama for BBC Radio 4 for many years and has appeared in films ranging from ‘The Pink Panther’ to ‘Uncle Vanya’. His voiceover work is extensive and includes factual narration, commercials and audiobooks, including many poetry books. 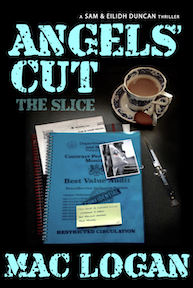 The Angels’Cut Audiobook (recorded as The Angels’ Share) is a prime example of quality voice-work. Helen also trained at the Guildhall and worked for fifteen years as an actor, mainly in theatre. She moved into television in the 1980s as a presenter for ITV, eventually stepping behind the cameras to become a staff producer for ITV based in the Midlands. There, amongst other things, she produced five series of the popular ‘Waterworld’ series with Timothy West, two series of ‘Top to Toe’ with Denise Welch and Julia Carling and two series of the archive programme, ‘50 years of …’. A parallel career as a freelance voice artist developed alongside and Helen’s tonsils have been hired for commercials, training and corporate films, video games, numerous welcome and on hold messages, internet projects and over fifty broadcast documentaries. James and Helen are partners at Choice Voices.